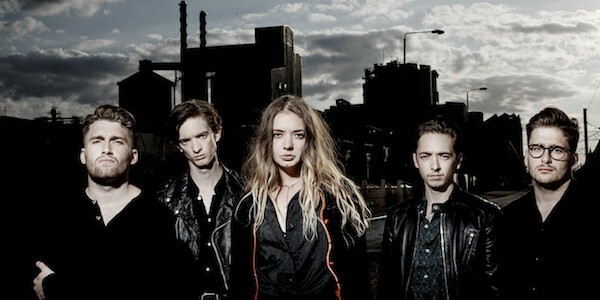 As part of their recent UK dates (including a stop in Hull), we caught up with Sam Macintyre, for one of Yorkshire’s greatest alternative music exports, Marmozets to chat about their new record, ‘Knowing What You Know Now’, and the future. Talk us through some of the happiest moments you guys shared when recording the new album? Well, the happiest has to be when we actually finished it! There is always moments when it’s fun or extremely draining if you can’t get something quite right. But the best moments when we were creating new sounds for songs we already had and blowing ourselves away! As a successful touring band now, what would you say your biggest challenges are? In all honestly we aren’t even at the tip of the iceberg yet and have so much more to deliver in the near future with our new album coming out. The biggest challenges will just be the wait until it is released to see where it will take us next. It’s getting very exciting! What specific experiences, people and places are inspiring you guys, outside of music, right now? Well apart from music we kind of have very normal lives and spend a lot of time with our families as when the touring cycle starts we don’t get to see them months on end and miss out on a lot. So it’s really our families and our local towns really sort inspires us the most outside of music life. How do you feel about the success of ‘The Weird And Wonderful…’ looking back now? It was a great moment to live in back then and we really didn’t expect the success it gave us as we didn’t expect anything at all and just did it for the love of playing together. We are really honoured and blessed to be giving such amazing opportunities. Can’t wait for the next step.